AirBridgeCargo Airlines together with Volga-Dnepr Group and their strategic partner, CargoLogicAir, have successfully participated in one of the major aviation shows – The Farnborough International Airshow 2018 (FIA2018). VDG and CLA took on the role of sponsors for Cargo Village - a dedicated location at FIA to showcase the important and unique role the air cargo industry plays in facilitating world trade for global manufacturers and consumers. It is the second time in a row this project has been pioneered with VDG. 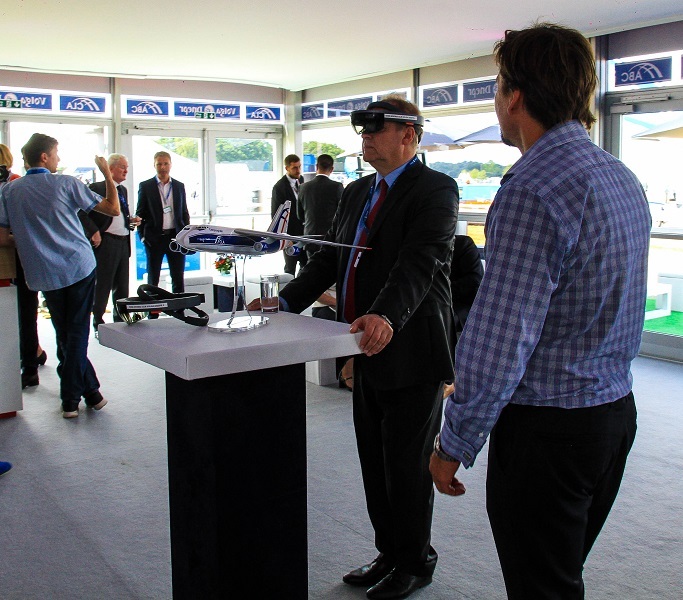 The event takes place every two years at Farnborough Airport in Hampshire, UK and is considered to be one of the most important trade shows of aviation industry. This year FIA2018 served as an excellent platform to showcase AirBridgeCargo’s dedicated services for transportation of temperature-sensitive products (pharmaceuticals) and dangerous goods, underpinned by smooth operations from Control Tower 24/7. During the three-day business period of the show, ABC team of logistics experts held meetings with customers, industry peers, and visitors, explaining them the benefits and advantages of cargo supermarket services, complementing all the meetings with live loading demonstrations of different commodities and featuring special logistics solutions on MultiTaction table. The latter came as the hotspot of Volga-Dnepr Group chalet catching everyone’s attention and explaining ABC and CLA’s services for special cargos. All the visitors, and most importantly customers, could review VDG services for healthcare products and AOG situations (aircraft on the ground) from the moment of getting an inquiry, technical expertise, cargo acceptance, choice of the right package solution, loading procedures, etc. It allowed for better visualization of complex data through real-time engagement. This is the new level of visual collaboration with customers in a much friendlier and technically advanced manner. Another hotspot of Volga-Dnepr Group Chalet was a prototype of Control Tower where customers could in real time watch and get an explanation of our specialists how it works and what benefits it brings to the customers. The visitors were given the opportunity to see CT in action in real time through six plasma screens which broadcast movement of high-value cargos from acceptance up till the level of air way bill. The monitoring included all important shipment records - the technical condition of aircraft, temperature settings, and changes, shock sensing data, weather forecast, etc. This feature gave all the viewers valuable insight on Control Tower and its smooth operations. Transportation of special cargos within ABC is monitored and coordinated by Control Tower, with its skilled and experienced personnel working 24/7 and ready to provide smooth operations for seamless delivery. ABC together with its ULD partner, Envirotainer, organized Pharma day to give the audience a better understanding of cold-chain procedures and initiatives which both companies are taking to improve quality of services to guarantee smoothness and intactness of medicine-related products throughout the whole supply chain movement. The demonstration of RKN container in VDG chalet, as well as onboard CLA B747F, was the catching-eye feature with real-time opportunity to get to see everything firsthand with comments from specialists in the field of pharma air transportation. 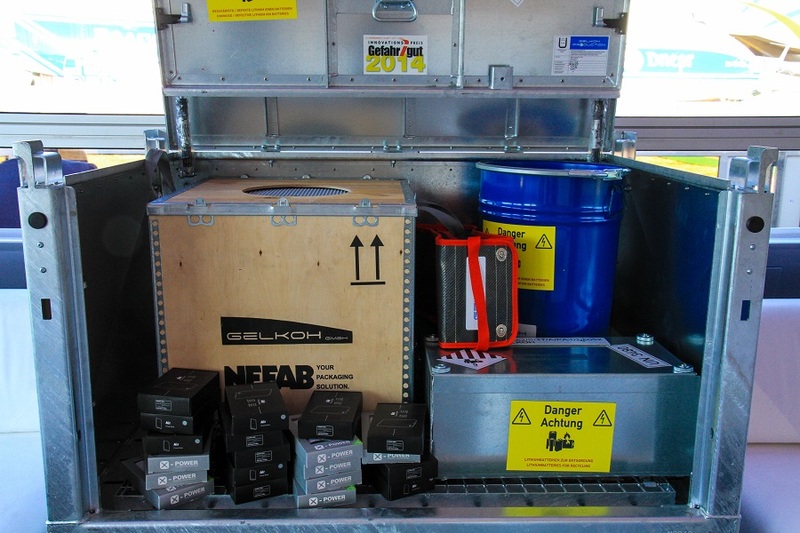 For ABC DG team Farnborough Airshow presented well-timed opportunity to highlight its cutting-edge solution for the transportation of lithium batteries (LB), which are in great demand right now with all the latest high-tech products containing LB (laptops, smartphones, toys, power banks, etc). A prototype of a unique container for LB transportation manufactured jointly by AirBridgeCargo and German company Gelkoh has been designed to give ABC customers extra confidence in the safety of transportation. It features modified walls with fireproof material, withstanding the fire of lithium batteries; decompression windows to let the smoke pass outside in case of fire to prevent bursting; and special protection on the floor, to prevent damage from pallets. One of the other steps aimed at improvement of safety condition upon dangerous goods transportation is the adoption and usage of EVAS (Emergency Vision Assurance System) for ABC fleet. The system provides a clear space of air through which a pilot can see flight instruments and out the front windshield for landing the plane in the event of in-cockpit smoke and has been installed on all ABC freighters. 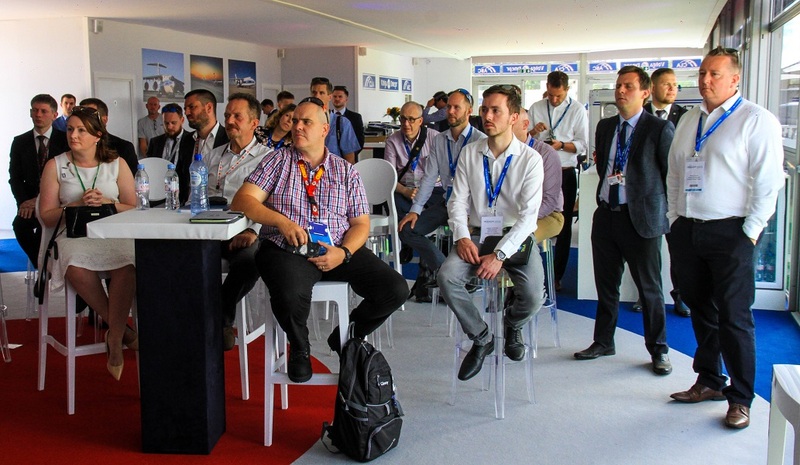 FIA2018 has brought a lot of opportunities for air cargo sector and coupled with dedicated Cargo Village served as the right place for peer-to-peer learning, industry meetings, and customer engagement. The next Farnborough Air Show will take place in 2020 and will open up new horizons for AirBridgeCargo and its team.